Lock in a great price for Old Town Piazza – rated 8.4 by recent guests! Very kind staff. Very good location. Near to synagogue that I recommend to visit. Very clean and comfy room in a wonderful location. In the old town but away from the touristy traps, down beautiful, quiet cobbled streets. Extremely good value if you need somewhere to stay before catching the onwards ferry. Simple accommodation - good for an overnight stay near the port. The location was perfect for access from the ferry and exploring the Old Town The Jewish Museum (part of the synagogue) is very close by and is well worth a visit. Michaelis and Maria went out of their way to be helpful and assist us wherever possible. 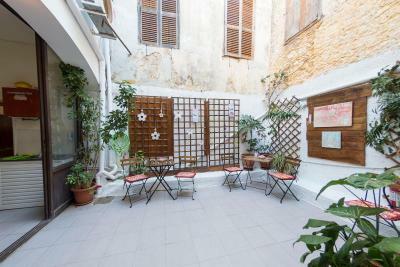 Beautiful location, very quiet part of the old town but quick walk to the busier parts and very close to the port. Lovely authentic place. Great location but be careful with your bags (very nice ancient ground not suitable for rolling bags).Taxis are not allowed into the old town. 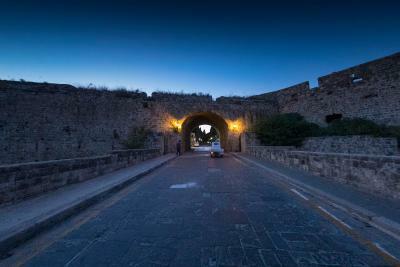 I love the surroundings, the perfect place in Old Town Rhodos. The hotel is not a big hotel really but rooms in an building in old town, very charming we only stayed 1 night and for that it was perfect . Very good bathroom. 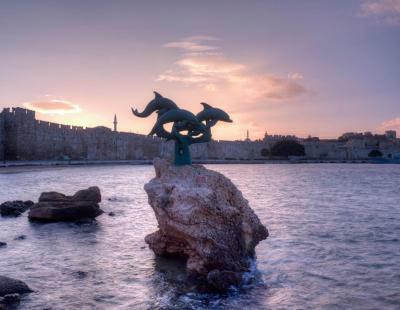 Right in the center of Rhodes, Old Town Piazza is an 18-minute walk from Clock Tower. The property is located one mile from Mandraki Port, 1.4 miles from Grand Master's Palace and 1.4 miles from The Street of Knights. The property is 1.5 miles from Deer Statues and 1.9 miles from Temple of Apollon. At the hotel, rooms are equipped with a closet and a flat-screen TV. All rooms have a private bathroom with a hair dryer, while some rooms have a terrace. All guest rooms will provide guests with a fridge. Popular points of interest near Old Town Piazza include Park of Saint Fragkiskos, Synagogue Kahal Shalom and Yeni Hammam. 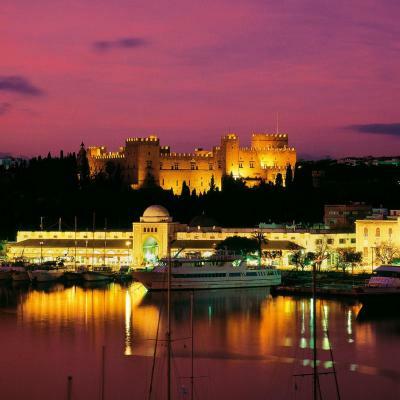 The nearest airport is Diagoras Airport, 9 miles from the accommodation. When would you like to stay at Old Town Piazza? This double room has a satellite TV, toaster and electric kettle. This triple room features air conditioning, private entrance and electric kettle. This double room has a toaster, air conditioning and private entrance. This double room features a toaster, satellite TV and air conditioning. House Rules Old Town Piazza takes special requests – add in the next step! Old Town Piazza accepts these cards and reserves the right to temporarily hold an amount prior to arrival. Neighbouring guest who chain smoked constantly outside our room in the communal semi- outside space. Clean compact functional room. Just as we had expected. Available for occupation much earlier in the day than we expected which was a bonus. Lots of noises in the room. The fridge and other appliances kept us awake as they were whirring all night. Exactly as we expected on booking the room. Delighted to be met by a charming young woman who guided us to the property via the shortest route. Going back in a couple of weeks. The entire key pick up thing at another location etc. Greek TV channels only, must walk from taxi for 5 mins on rough and bumpy ancient stone streets, if your roller-bag is heavy you may lose your rollers, no reception, but the I have been welcomed on the street; you must give the exact arrival time or you can miss this kind welcome option.